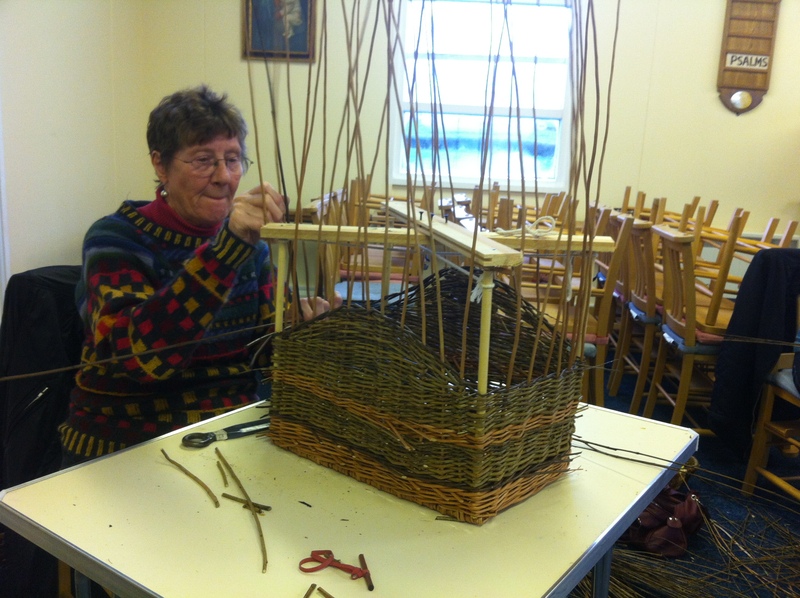 December was a busy month for our basket makers, we had beginners making blackberry baskets, inters making welsh shoppers and pros making squares. 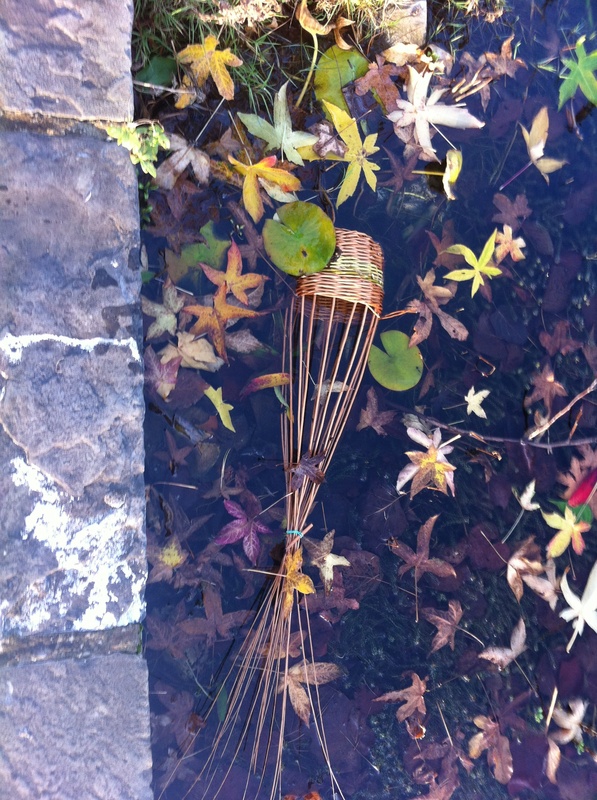 Vale Adult Learners Beginners made beautiful blackberry baskets and in the absence of the soaking tank (wheelie bin) the local pond came in handy. 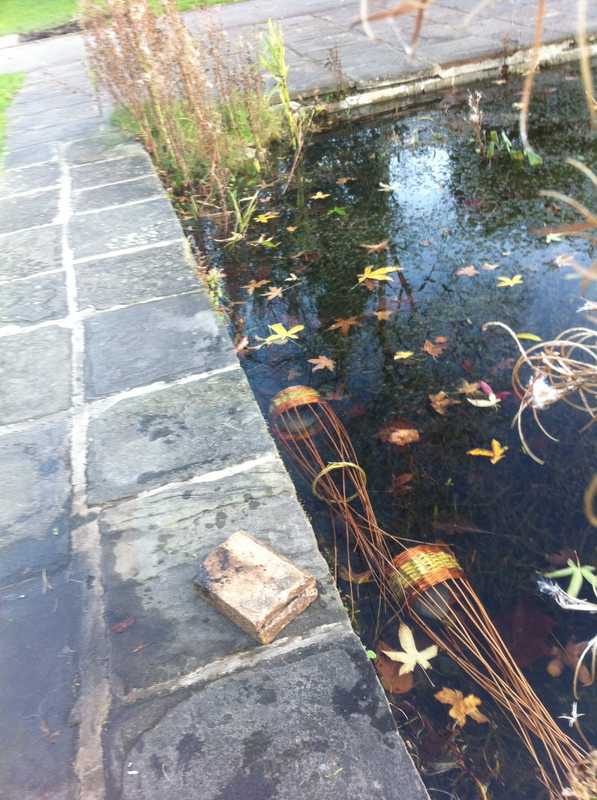 Not sure what the fish made of it but worked all the same although I did notice a few crawly things when rinsing the baskets off, didn’t like to mention it to anyone. 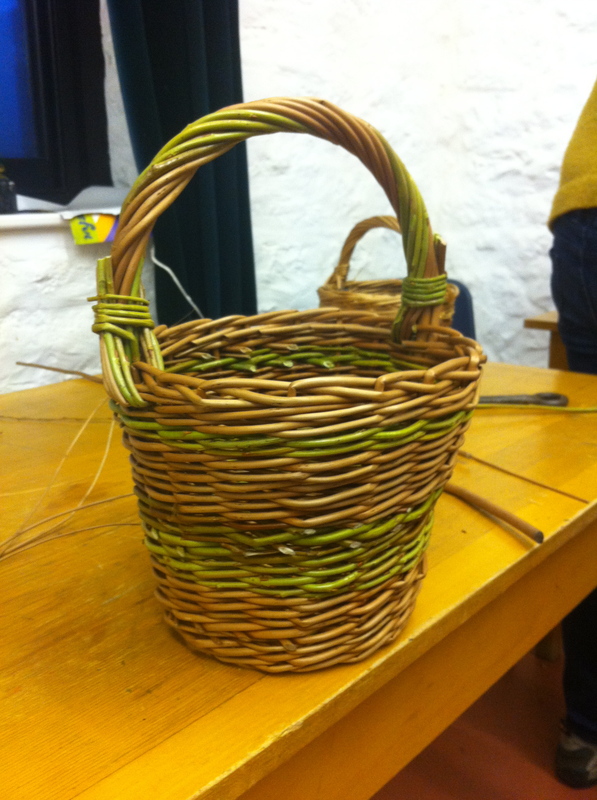 The baskets turned out really well complete with handles, not bad for a day’s work. 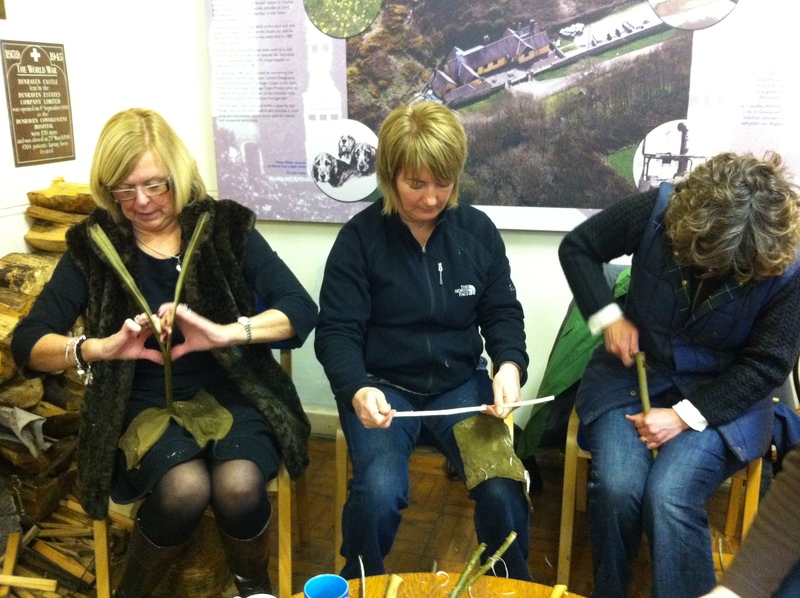 Competition between the sound of the fire spitting, the splitting of big willow rods and the cursing of several women was rife in the Heritage Coast Centre, Southerndown when the inters were preparing the willow for their Welsh Shoppers. 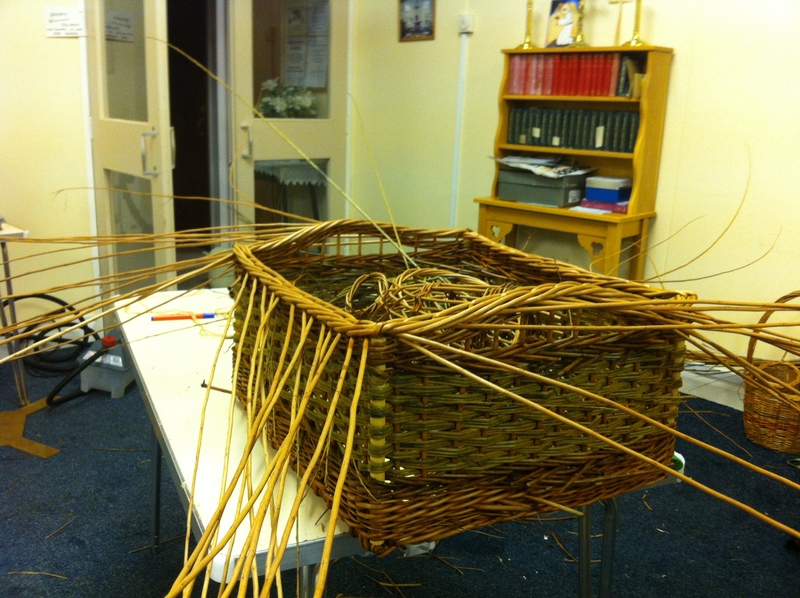 This was the first of a two day course spread over a month which was making the rim and ribs to allow them to dry for the next course which will be weaving the basket. 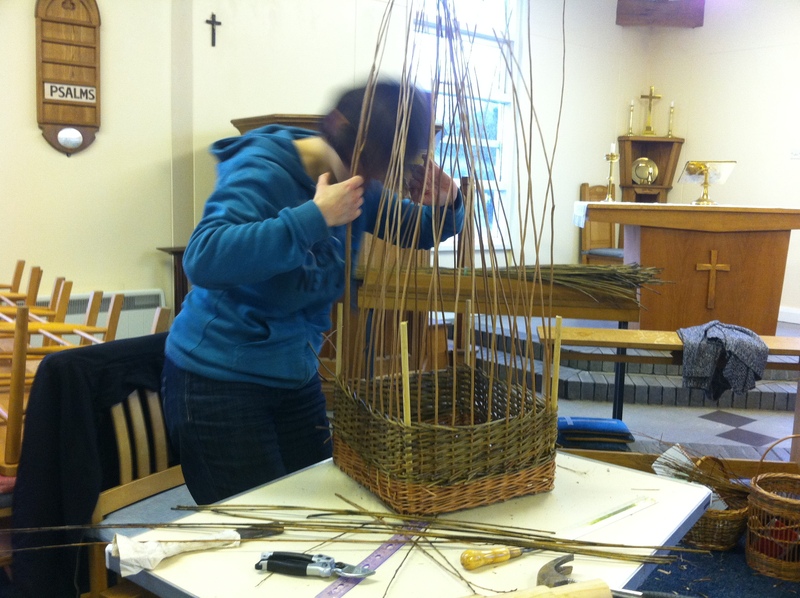 The process involved taking several large willow rods, splitting them in two, shaving them down to make sturdy ribs and handles which were then pressed around a forma to keep shape. The rim is also a large rod pressed around a forma and allowed to dry out. 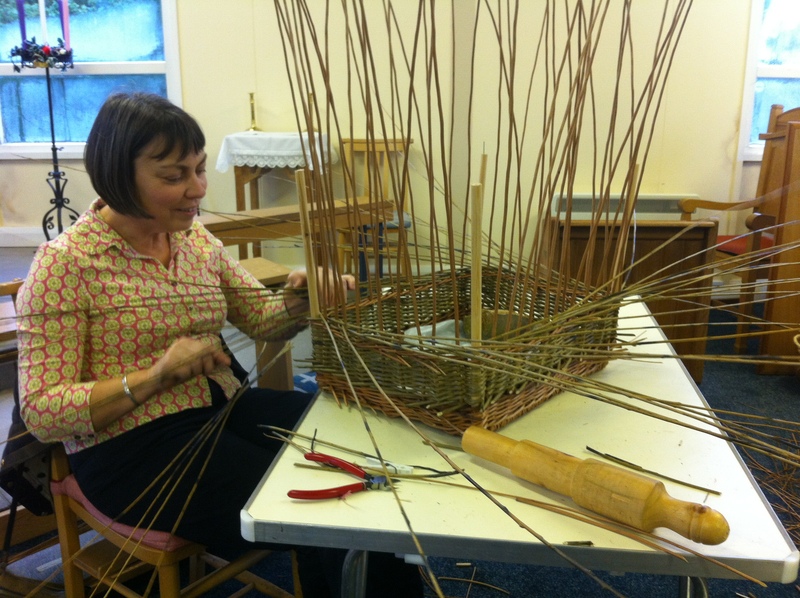 Looking forward to the weaving in a couple of weeks time. Square baskets are always a challenge so when several of the pros said let’s make a log basket I thought we’d be there for some time. Day one – bases were complete and baskets staked up, even with all that scalloming. Day two – ten hours later with a no stopping weaving frenzy, a bountiful supply of cake, several trips for baskets to go in and out of my bath, we finally finished. They were beautiful baskets and a real achievement in two days. Just trying to think of more challenges for this year.